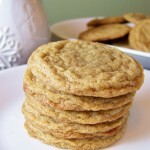 Some of you may remember the Cinnamon Cappuccino Cookies that I made back in January. They quickly became one of my favorite cookies. I absolutely fell in love with the cinnamon + espresso flavor (even though I don’t like/drink coffee) and if you still haven’t tried them I’m warning you, they’re super addictive ;)! 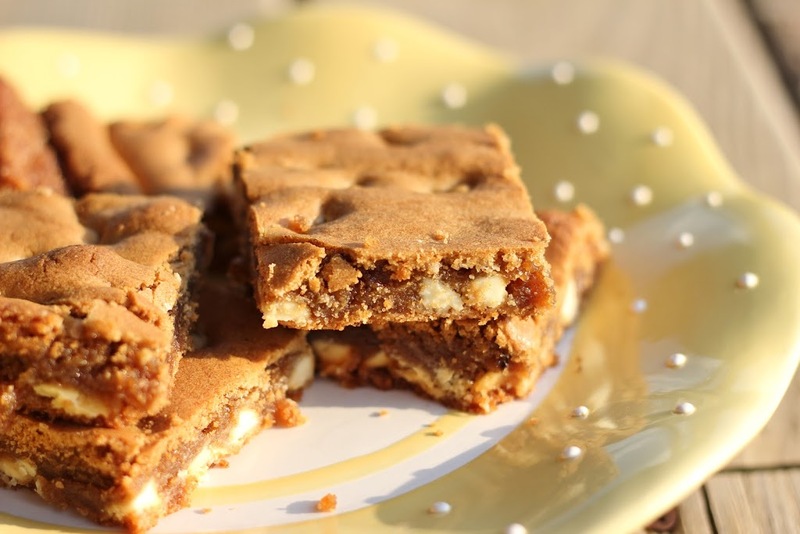 I also happen to love blonde brownies and thought I could combine the two, because while I love making cookies, sometimes you just want something a little quicker, with fewer dishes =). I made them a couple times and everyone raved over them. So if I’ve finally convinced you to try the cinnamon-espresso flavor combo, but you really aren’t a cookie baker then this recipe is perfect! And you probably have all the ingredients on hand. Just go ahead and get your exercise in by running to the kitchen and get started baking =). Enjoy! 2. Add sugars to melted butter and mix well. Then add eggs, cinnamon, vanilla, and espresso powder. Mix well. Add flour until just mixed. 3. Stir in white chocolate chips and nuts. Spread out dough in a greased 9 inch pan. 4. Bake for 35-40 minutes. It will not appear done at first but will harden as it cools. -If you can’t find espresso powder, you can substitute instant coffee. I find mine at Kroger with the coffees. -If you don’t have vanilla bean paste, you can use vanilla extract or a vanilla bean.